Over on the Paper Issues Blog we are playing around with Washi Tape. It's everywhere - and there patterns popping up everyday that I just love. I have started me a little collection, and I was hanging trouble finding a good solution for storage. I knew it needed to have easy access to all my rolls (no digging for the right color) and it needed to be able to stack. This photo is my solution. Now, I don't have an truly overkill amount. But if I did, I would just make a second box to store it in. What I did was find a cute wooden box at Hobby Lobby and then I picked up some wooden dowels in the craft section. I came home and had the cute husband drill me holes on the side of the box, where I would insert my dowel rods (to hold the washi rolls). The next step was for me to decide how to paint/cover the exposed wood. I went with panting my box a solid black, and then ever so slightly distressing the edges. All of my wood (desk legs, cabinets, etc) in my scrapbook room are painted this way, so I went with that. Now on the top of the box I added a little embellishment - keeping in mind that if I ever need a second box (and I will) that I wanted them to still be able to be easily stacked on top of each other. 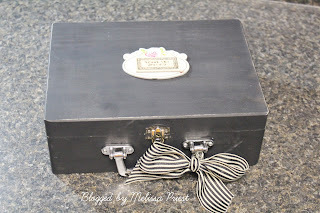 For a little final detail I tied a simple ribbon around the box handle. The chipboard on top is a Melody Ross piece, and it says "enjoy the journey". I am going to be linking this project up to the Paper Issues Blog today - if you have any washi projects, you should join us! Freckled Fawn is giving away a $25 gift card to there store! Or if you would rather, you can always shop the Paper Issues store on Etsy. 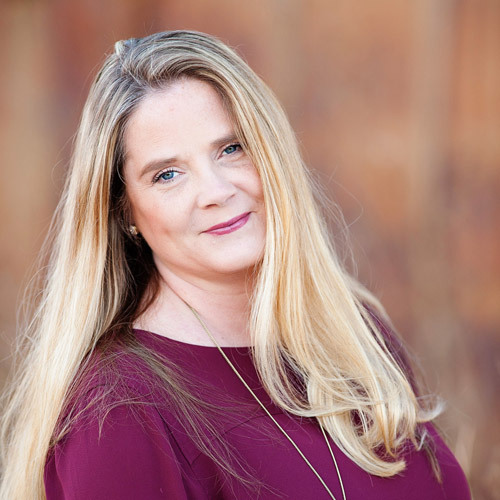 Cassie stocks Freckled Fawn tapes and she has *amazing* prices. And her customer service rocks, too! 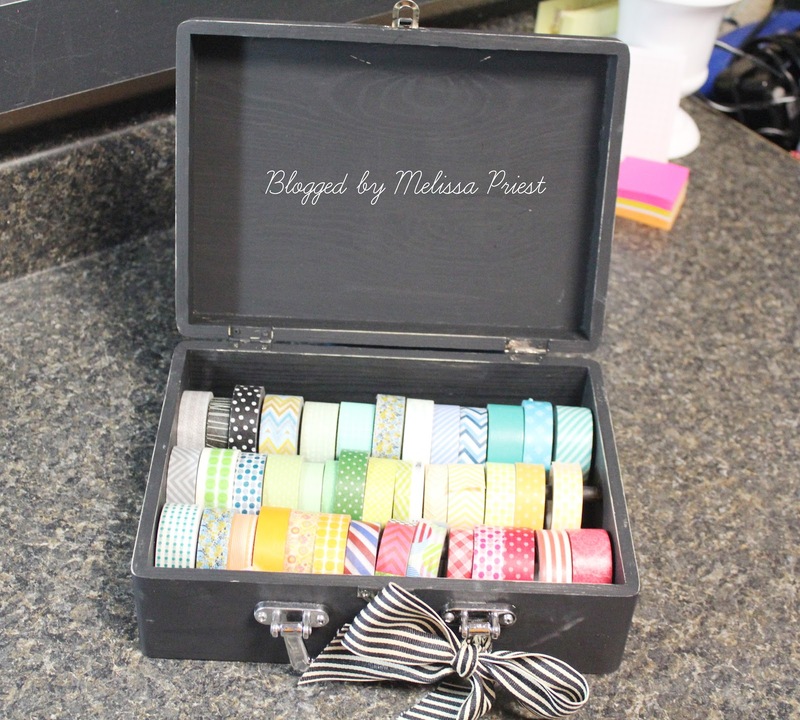 *How do you store your washi? *Do you have a favorite store/brand that you love? Oh, gosh! How could I have not been a follower of your blog? We're in Paper Issues together! GAH! You are killing me with all those washi tapes! I LOVE LOVE LOVE washi and got TONS coming my way from Cassie! Oh, and I love that case! I love this idea! I need to go to hobby lobby and find this box! Love how you painted it black, and added the ribbon. Perfect! Hi Melissa, love the box, what a great storage idea!